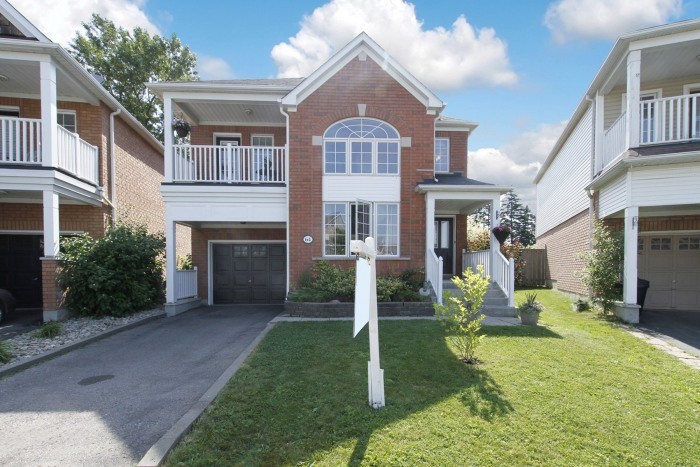 SOLD 64 Handley Crescent, Ajax $449,900 | More Sold By Farr! Huge Premium Pie-Shaped Lot Backing Onto Greenspace Located In Desired Lakeside Community In South Ajax. This All Brick, Approximately 1924 Square Foot Home Features Hardwood Floors, Gourmet Kitchen With Granite Counters, Glass Tile Backsplash, Under Mount Lights, Crown Moulding & Upgraded Throughout. Pot Lights, Dramatic Vaulted Ceiling In The Entrance Way & 2nd Flr Balcony. Relax With Family & Friends On Your 29’X15′ Deck While Enjoying The Privacy Of Your Own Backyard Oasis.